I am on H-1B with approved I-140 and am already on the 7th year with a priority date set for 2015. I foresee myself having to take care of my parents in India about 5 years from now. If I leave to India for good in 2024, how does this impact my H-1B and I-140? 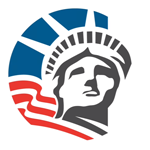 Will it become invalid and should I visit U.S by applying for a fresh H-1B in the lottery? Will a future employer be able to use my current H-1B by sponsoring it (assuming the current rules and laws as the same)? P.S: Both my kids are U.S citizens. In the same situation now. what are options?